Would you rather your kids “act right” or “love right”? Obviously, the better we love, the better we tend to act. But, if it’s just actions, where’s the love? Loving “right” comes with all kinds of hard stuff. Courage to speak their truth, admitting anger and hurt, learning empathy, communicating their preferences, thoughts, opinions (that may be very different than my own). For them to love themselves and me properly, this all needs to come in to play. Still, I’d rather them love right than just act right and hurt quietly for shame that I won’t care about their pain or problems. I want them to love well, properly, healthfully. This takes a lot of letting go. This will take a lot of prayer. This takes loving discipline. And, a lot less controlling. May they be raised seeing grace and care, so that they will be the first to recognize when it isn’t present. May they learn to love and appreciate the differences in themselves and others. Loving is messy and hard, just look at the cross. It’s in the marriages, the loss of loved ones, the illnesses of children, and the rebellion of family members that this is tested and shown in all it’s painful brilliance. To love “right” isn’t easy. To act “right” can be. Superficial, but just that, an act. May we love well. May we be willing to let go so that we can. They are their own beings with their own hearts, decisions, choices, and futures ahead of them. May I love them well through them all. Whatever they may be. Being a parent opened my heart to the love of God when I realized that He loves my kids even more than I do. That’s hard for me to comprehend, but I know that it’s true. They were His before they were mine. But, it also reminds me that I am His child. And, I also think He’d rather me love right than just act right. And, I know now how much of a difference there really is. This bothered me. I felt like she was doing my job, not only my job, but better than I was. Practicing, buying fancy dresses and props. Spending more money than I would or should on talent show attire, I might add. She was killing it as a stepmom and that was killing me. That led to “Am I doing enough? Is she better than me?” thoughts. Insecurity. Jealousy. One of the places I know she’s better than me is in doing their hair. She fixes their hair like I’ve never been able to. She braids, she updos, she curls, she straightens. I get compliments on their hair and outfits a lot after she dresses them. I smile and usually give her the credit. It hurts either way. I can honestly say I’m hair challenged. So, I can’t help but feel less than when people ooh and ahh over their hair. We all have our gifts, right? I am left wondering, what is mine? A few days before the talent show, I was really struggling and had a few friends praying specifically over me and this situation in my heart. She happened to text me that day and ask if she could pick the girls up at 4:00 to do their hair for the talent show. (Of course!) Straight to the heart of my insecurity. My heart sunk. In my head, I had two choices. One would be to say “yes” and continue to feel inferior and inept. The second, being “No, I’ll do it” and bring them with hair not nearly as cute as if I’d just let her do it. Sooooo, I have no doubt God intervened and placed a third option in my heart. An option I never would have considered before. Ever. Instead of door #1 or #2, I took #3. I asked her if she could come over to our house and show me how she does it. Maybe I could learn something? Maybe I could admit there are some things she does better than me. Just like everyone else on this planet. Maybe if I humbled myself to watch and learn, rather than resist or retreat, we could work together. And, that’s just what we did. And, now you know the rest of the story. I’ll never forget her performance that day. Not only because she knocked it out of the park, but because we all did. So to all you stepmoms out there who are doing your best and doing it well, have mercy on us mamas. It’s not easy. Put yourself in our shoes and imagine how hard it would be to watch another woman help raise your babies…and well. We don’t have kids expecting to share. It goes against every fiber in our being. But, thank you. If you love our kids, thank you. We know you don’t have to. You choose to. If they love you, bonus. The more love in my kids lives, the better. I can’t change the fact that you’re here and somehow you keep showing me, just by loving them, that I wouldn’t want to. And, that’s hard to admit as Mama. I’m thankful he’s with a woman who cares and loves our kids. And, can do a salon quality updo. Here are a few things I’ve learned from my kids thus far. 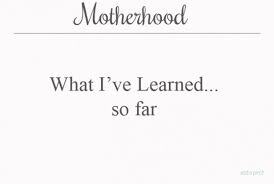 My girls are only 8 & 3, so I know I have a lot more learning to do and milestones to reach….Even so, these lessons have been astounding and life altering. Going to the main church service with kids is important but “feels” pointless while you’re there….keep going. Parenting will drive you to your knees, and that’s a good thing. Parenting should keep us very humble. My girls are lovers, fighters, givers, takers, whiners, gamers, laughers, criers, cuddlers, and the best part is that they are mine! (So that all makes sense). Let the love and lessons continue….